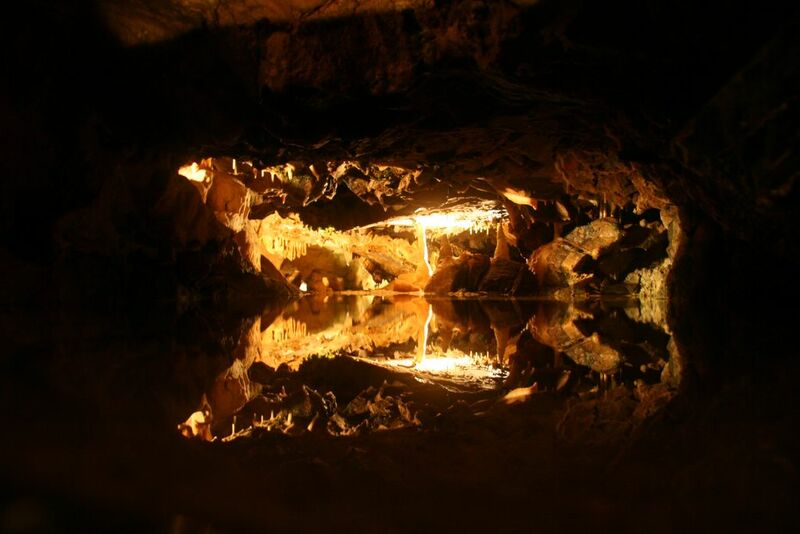 Ever wondered where Cheddar Cheese comes from? It doesn't have a fancy appellation controlée, but if it did, a little village in the West of England called Cheddar would probably be the only place in Europe allowed to produce it. Cheddar Village is nestled in between the two sides of a steep and impressive gorge, the largest in Britain, surrounded by the Mendip Hills. 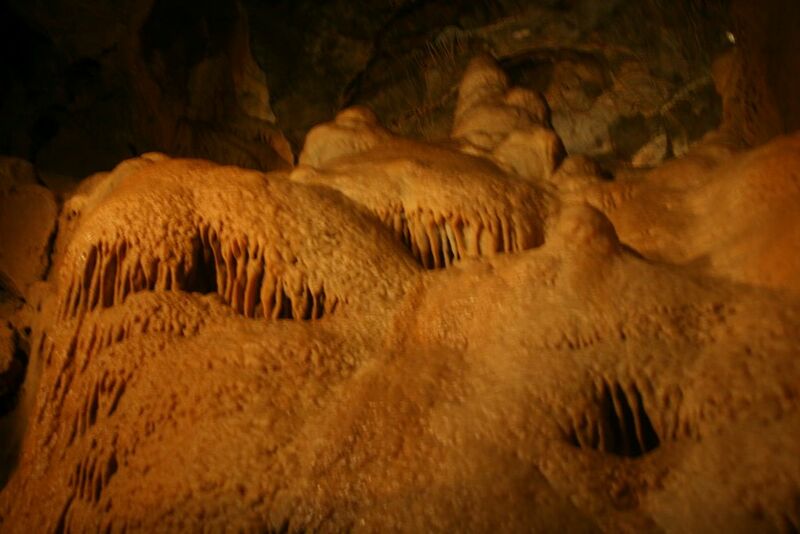 As well as its cheese, Cheddar is famous for it's beautiful caves. JRR Tolkein honeymooned in Cheddar and it is said that these caves inspired the Crystal Caves at Helm's Deep in the Lord of The Rings. Do the walls look like honeycomb? Do they look like chocolate? 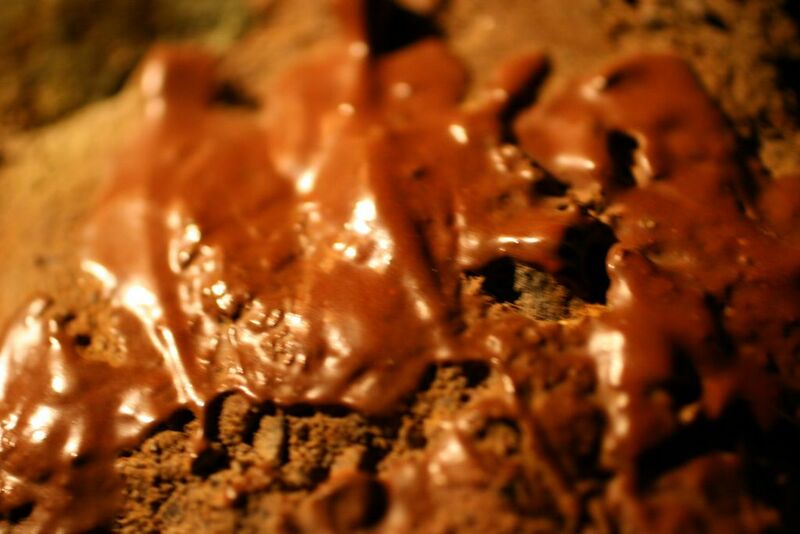 No, no, no, nothing sweet in these caves. 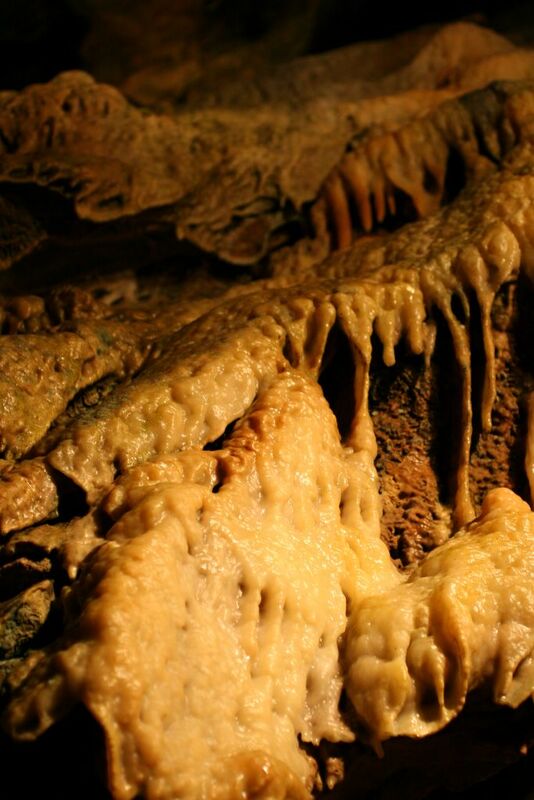 If you look closely, you'll see the cave walls are actually made entirely from grilled cheese! Yes. Grilled Cheese is spread all over the caves. The local cheese makers just scrape it off the walls and mold it into drum shapes before shipping it off to supermarkets all over the world. Nature obviously predetermined that this little place should have a strong connection with cheese. No wonder one of the world's most famous cheeses comes from right here, this tiny little village called Cheddar. 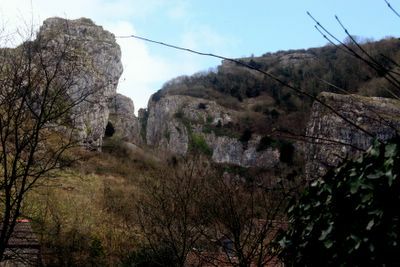 The Cheddar Gorge Cheese Company make the only cheddar still produced in the village. 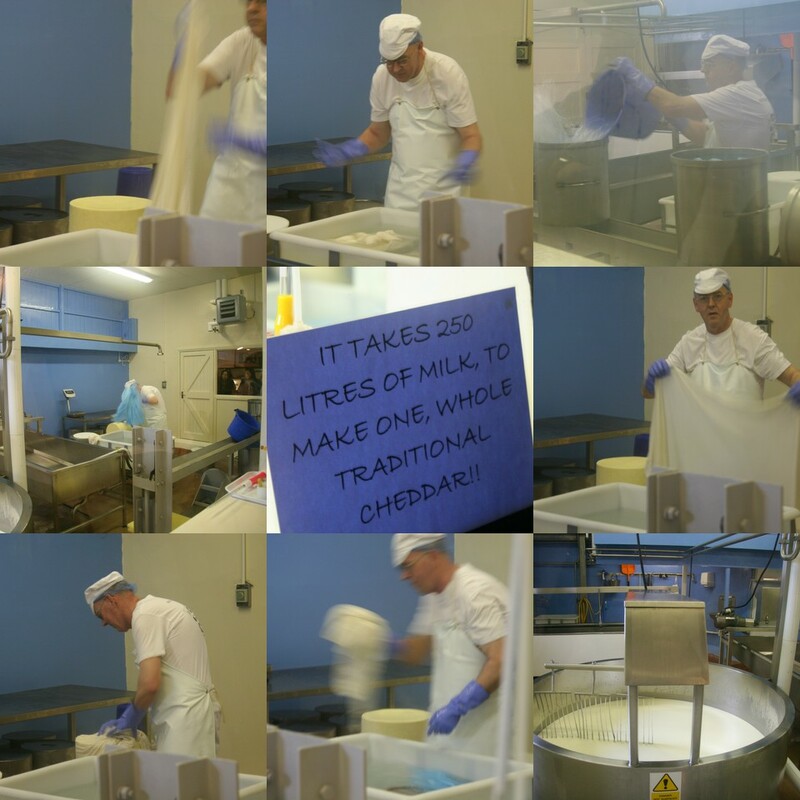 Their dairy is open to the public and you can actually go inside and watch the cheese being made. The end result. My mum, who likes cheese strong enough to strip the roof off of the top of her mouth is after a slice of the Vintage. It's been left to mature for two years. Good, strong stuff! Gorgeous shots, Sam. 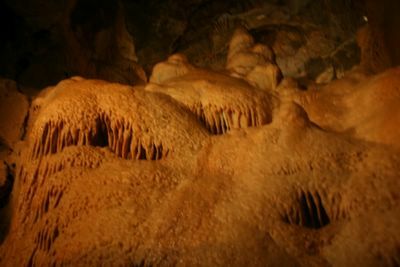 Visiting caves is always fascinating - Boyden Cavern in Sequoia National park is worth a visit if you're ever out that way. I love your mother's taste in cheddar. There is a dairy near my mother's place that has a cheddar that has been aged for five years. It's so strong that I can feel it pull from the back of my throat to the top of my head. Fantastic stuff. It has become a favourite with my kids as well. We are such cheesewhores. Wait, what? My fantasy is real? Eating my way out of a cave of cheese. Drool. Sam really enjoyed re-living your visit. The photos are good and so is the cheese. grat pics sam - i've been to cheddar too - loved it! do you ever make it up to Scotland - have eyou tried the Mull of Kintyre cheese? Is "unpasturised milk" (on the Cheddar Gorge website) a British spelling, or was that meant as a pun? 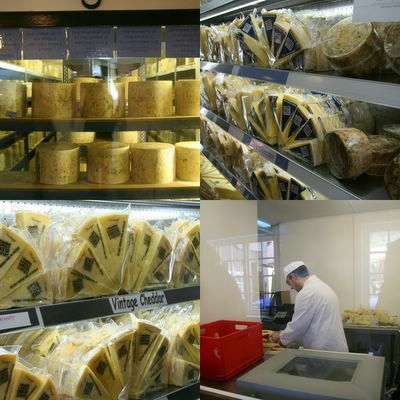 Your mum would probably love a visit to Quebec with all its wonderful farmhouse cheddars, some aged 6 years or more. Sarah -you are lucky your kids like it. When I was a kid, my mum used to try and feed us the strongest cheddars but we just turned up our noses. I think she was secretly glad - all the more for her, eh? Molly - here is another rockin' drool-worthy grilled cheese shot just for you. Be carefull in that there cave, now, young lady. Mum - glad you liked it. More stories from my trip to England on this blog over the next few weeks. 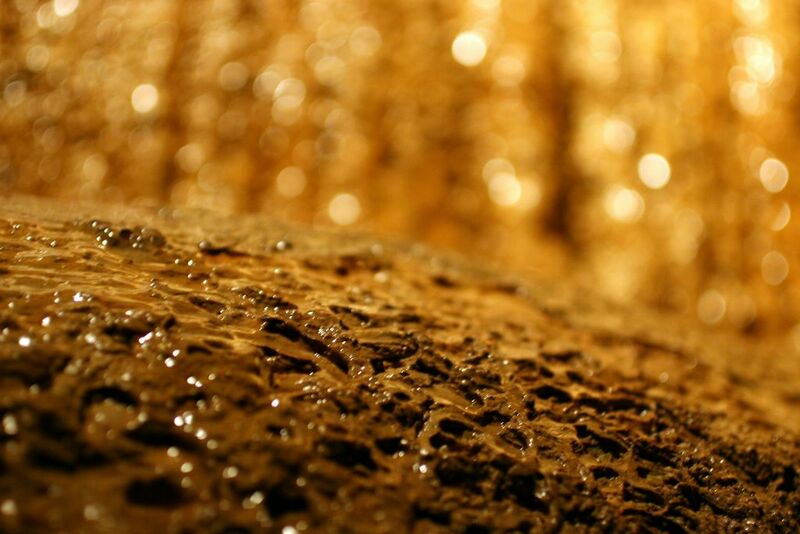 "there isn't an official AOC for cheddar, but cheddar's considered authentic when it's A.) from Somerset, B.) cloth-bound, and C.) made with unpasteurized cheese and animal rennet. My favorite Neal's Yard cheddar is Montgomery's (made by Jamie Montgomery in North Cadbury) and we actually ship it to the States, you can buy it at Whole Foods, if you're lucky (production is quite small and demand always outstrips supply). It's balanced and fruity and nutty and complex all at the same time, and people who come in asking for a sharp, well-aged cheddar are always wooed by Monty's over the stronger, wilder cheddars we carry (two others from Somerset, one from the Isle of Mull, one from Gloucestershire, and one from Devon) . The grilled sandwich that Ruth Reichl editorialized about in the March issue of Gourmet (the one that was all about London) is made with Montgomery's, and she's right--it's the best cheddar I've ever had, too." Hey Gary - I reckon its a typo. I would have spelled (or is it spelt??) "unpasteurised" myself. But, of course, the American spelling uses a Z not an s.